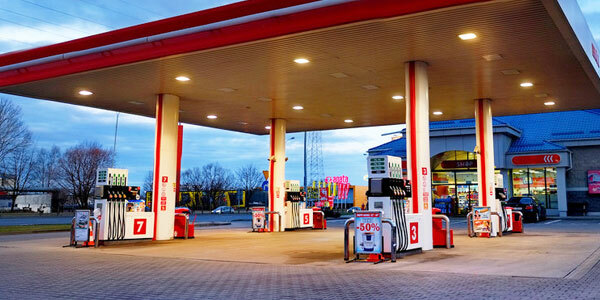 Fuel Express is not affiliated with, nor offers sales or customer service for U.S. Fleet fuel credit cards. We are a fleet fuel card provider that is accepted at virtually every gas station in the U.S. including every U.S. Fleet gas station location. This page is intended for current or prospective Fuel Express customers to review all of our fleet fuel and gas card acceptance locations. To learn more about our fleet fueling services, please contact us or apply for a fuel card from Fuel Express today. When it comes to fleet operations, we know that your drivers are a major part of your efficiency and when you choose a Fuel Express gas card, you’ll be able to improve that efficiency. Our cards let your drivers fill up at all U.S. Fleet stations as well as more than 230,000 other gas locations nationwide. This means they won’t have to go out of their way to find an acceptable location and in return, they’ll complete their deliveries faster and improve your business efficiency. With our state-of-the-art gas card tools, you’ll be able to maintain your fuel budget on a regular basis. We give you the ability to track the date, time, and location of each driver’s transaction in an easily accessible online account. In addition, we offer budget tools like purchase restrictions and spending limits so you can make sure your drivers don’t buy anything they’re not supposed to and that they don’t exceed your fuel budget. We also offer GPS tracking for each of your vehicles. This can help your drivers get to their destinations safely by giving them real-time traffic updates. They can use the GPS to navigate around accidents, detours, and more to get them to their destinations on time. In addition, you can use our tracking system to plan the best routes for the best vehicles. We know many fleets have drivers who drive through the night in order to make long-haul deliveries. That’s why we offer toll-free, 24-hour customer support. Simply call our support line at any time and we’ll be available to help you through any situation you or your driver may have. Learn more about our gas cards that offer U.S. Fleet station acceptance and much more. Contact us today.